Pumpkin lasagna. YUM! 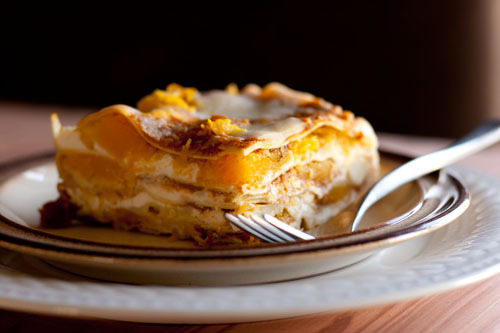 I have had butternut squash lasagna and loved it, so I am sure pumpkin lasagna and I will get along just find. You can get the pumpkin lasagna recipe over at Life Currents. Sorry - not really an interesting comment. Lol. Howdy! Thanks for the shout out on my pumpkin lasagna. I followed you on Pintrest as well. I love the name of your blog - so cute!